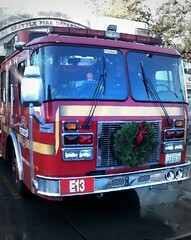 This fire truck at Beacon Hill's Fire Station #13 is festively attired for the holiday season. Photo by Joel Lee in the Beacon Hill Blog photo pool on Flickr. Neighbor Peter heard sirens last week, and managed to get outside and some photos of a house fire in a boarded-up house on 25th Avenue South, behind QFC. See the photos here. News from El Centro de la Raza tells us that Mayor Mike McGinn will be joining them for their Holiday Latino Hot Meal tomorrow, Wednesday, December 22 from 12:00 – 1:00 pm. Remember the “Know Where You Came From” t-shirts from NAMSAYIN featuring a #36 bus? Remember how the first run of 56 shirts sold out in one day? On Wednesday and Thursday this week, the shirts will be re-released at Deli Seattle, 1307 First Avenue. They will have men’s and women’s shirts, as well as onesies for babies this time. Sizes are limited, and the shirts are very cool, so if you want one, don’t let it get away this time. Do you have an interest in Pacific Northwest ecology? Do you like to share what you know with others? Are you over 18 years of age? Are you looking for a meaningful volunteer experience? You may be interested in the Seward Park Audubon and Environmental Center Master Urban Naturalist program. The program provides free naturalist training workshops and certification in exchange for 10 hours of donated service and completion of a final project or presentation. More information here. The newly-revitalized ROCKiT space has a few things going on that you might want to know about. Need a good place to wrap Christmas gifts, or want someone to wrap them for you? You can wrap your gifts at ROCKiT space, where your loved ones won’t see what you’re up to. DIY gift-wrapping is $5/day site use fee, plus a $2 supply fee. All materials are supplied. Bring your own wrap and they will waive the supply fee. If you’re a wrapping klutz or just don’t have time, you can also drop off gifts, and they will wrap them for you to pick up later. The fee is $2 each for small packages, and $5 each for large packages. On Tuesday, December 28 at 7:00 pm, ROCKiT space is hosting a Tuesday Folk Club with two old time/country bands: Red Dog and Dram County. The minimum donation is $7 at the door or $5 in advance. Tickets are available at Rockit Space during business hours. The Tots Jam with Suzanne Sumi is continuing on Wednesdays, from 9:00 – 11:00 am , but there is no session on December 29. The Department of Planning and Development has approved an application to subdivide a site at 4010 14th Avenue South into five unit lots for the purpose of allowing sale or lease of the lots. The property will continue to be zoned for duplex multifamily development. Read the decision here. There is at least one place to ring in the New Year nearby. The new St. Dames restaurant at Columbia City Station is hosting a party on New Year’s Eve, starting at 10:00 pm. The event will include appetizers, dessert and a champagne toast at midnight. Tickets are $10 in advance or $15 at the door. 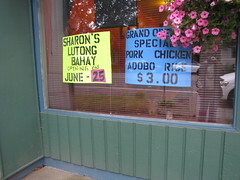 Make reservations by calling 206-725-8879. St. Dames is located at 4525 Martin Luther King Jr. Way South. Do you know of any other Beacon Hill places that are open for New Year’s? Let us know! Gage Academy of Art is offering free drop in art classes for teens aged 13-18 in the Rainier Valley. Classes are on Saturdays at The 2100 Building, 2100 24th Avenue South. Classes will be from 6:30 pm – 9:30 pm. For more information, call 206-323-GAGE. Art materials and pizza will be provided. On December 6, the Levy Citizens Oversight Committee gave their final recommendations for Parks and Green Spaces Levy Opportunity Fund grant projects. Two North Beacon Hill projects made the final list, which will go to the City Council for approval in March. Thanks to the tireless efforts of Dee Dunbar, Vinh Nguyen, and the other Friends of Lewis Park, Lewis Park has been recommended for an Opportunity Fund grant for $260,000. These funds will be used to pay professional crews to take care of the steep slopes which are inaccessible to volunteers, as well as restoration of native plants and trees. 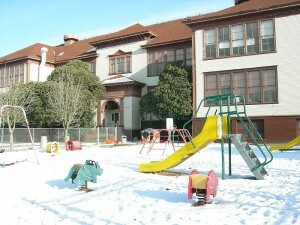 Santos Rodriguez Park at El Centro de la Raza, in the snow. Photo by Joe Mabel via Wikimedia Commons. Here’s the list of finalists throughout the city. 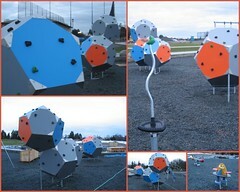 Our Beacon Hill parks are in good company—there are some amazing projects coming up for Seattle in the next few years. Previous BHB posts about this round of Opportunity Fund applications are here. Beacon Bits: Did you say sushi? 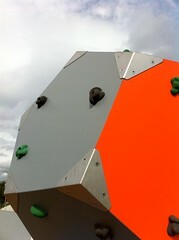 In the Jefferson Park Playground. Photo by go-team in the Beacon Hill Blog photo pool on Flickr. A nice view nearby from Amy Watson’s new office (via Twitter). The Seattle Public Utilities advisory committees for Solid Waste and Water Systems are both seeking south-end volunteers. Apply before November 17th for the Solid Waste Advisory Committee, and before November 30 for the Water Systems Advisory Committee. UPTUN (Upping Technology for Underserved Neighbors), a broadband equality group working for central and southeast Seattle neighborhoods, hosts its third quarter meeting with Broadstripe, Reclaim the Media, and city representatives at the Central Area Senior Center, 500 30th Avenue South, on Tuesday, November 16 from 5:30 to 7:00 pm. The Jefferson Park Lawn Bowling Club can do a bit of bragging: member Jeff Covell was part of the team that achieved a first place win at the 2010 USLBA National Lawn Bowling Championships in Sun City, Arizona. The November episode of UW 360 on UWTV features Beacon Hill’s “Fisher House,” a residence for families of veterans being treated at the VA hospital nearby. United Way of King County is looking for tax preparation volunteers to help weekly at El Centro de la Raza. No experience is necessary and training will be provided. Spanish speakers are especially sought. The possibility of the sushi restauranton Beacon Hill was also mentioned briefly in The Stranger‘s Chow column. A couple of land use applications were recently filed: Rubberized track, lighting, parking, and a synthetic playing surface for Jefferson Playfield, and Clearwire antennas and microwave dishes to be installed atop a building at 15th and Bayview. Volunteer positions are open for the Seattle Design Review Board. Get your application in by December 10th. 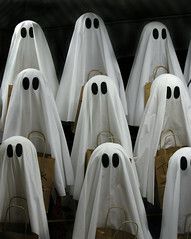 It's that time of year again -- time for all little ghosties to celebrate Halloween! Photo by Paul Sapiano via Creative Commons. Seattle Parks and Recreation is hosting Halloween events for kids at our local community centers on Beacon Hill. Jefferson Community Center will have a Halloween Howl and Carnival on Friday, October 22 from 6:00 to 7:30 pm, with games, goodies, prizes, a haunted house, and more. Costumes are optional, but encouraged, and the event is for children of all ages. Admission is free but carnival tickets are 25 cents each. The JCC is also holding a Toddler Trick-or-Treat day on Thursday, October 21 from 11:00 am to 12:30 pm. The little ones can dress up, play games, then enjoy “tot time” in the gym. The toddler event is $2 per child. For more information, call 206-684-7481. Jefferson Community Center is located at 3801 Beacon Avenue South. Van Asselt Community Center is hosting a Fall Harvest Festival for kids up to age 12 on Friday, October 29, from 6:00 to 8:00 pm. They tell us it’s a “safe evening of games and goodies.” Kids can celebrate by wearing costumes and bringing a goodie bag or basket (optional). There is no fee for the event. Van Asselt Community Center is located at 2820 South Myrtle Street. For more information, call 206-386-1921. Live and local music is coming to Tasha’s Bistro Café on Friday nights, organized by Beacon Music (the folks behind this summer’s Beacon Rocks! music series). Performances are every Friday night at 7:30 pm. Families are welcome. There is no cover charge. The first performance is October 22, with Jack LeNoir and Betty Jean playing jazz standards, eclectic rock and original music. Performers who would like to perform at Tasha’s should contact Betty Jean at beaconrocks@gmail.com. 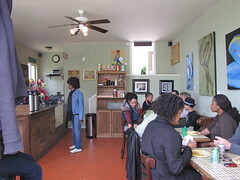 Tasha’s Bistro Café is located at 2524 Beacon Avenue South. Sustainable South Seattle (S3) is hosting a Climate Co-op Workshop to share ideas about how we can work together as a community to save money, improve our neighborhood and do our part to take care of the planet for our children. Guest Speakers at the workshop include Deputy Mayor Darryl Smith, Brooks Kolb, Michael Murphy, and others. The forum is on Wednesday, October 20, from 6:00 to 8:00 pm at the Southside Commons, 3518 South Edmunds Street in Columbia City, just a block and a half away from Columbia City Station. Please RSVP to climate.coop@gmail.com. If you need language assistance please say which language within the email. Childcare will be available. The NAMSAYIN Beacon Hill shirts sold out on Sunday at Deli. You can see some of the happy buyers here, including BHB‘s own Jason. Stay tuned to the blog for some shirt giveaways, once we come up with a good contest idea or two! I’m hoping you will post a request to our south end neighbors to consider applying for a position on one of the citizen advisory committees that that city hosts. I am a member of the Solid Waste Advisory Committee and I am the only member from the south end of Seattle (south of I-90). Our part of the city is very under-represented. This is a way to weigh-in on key city decisions. Application information is here and if you miss the October 15 deadline, send your application anyway… they will likely consider late applications. Speaking of civic responsibility, ballots for the General Election should be arriving in your mailbox any day now. 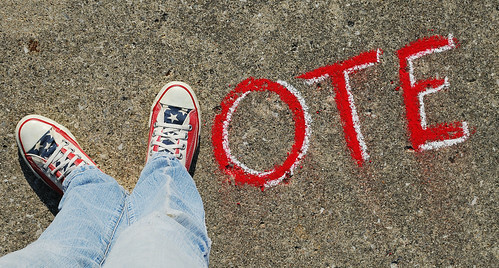 Please vote thoughtfully, and don’t forget to mail the ballot in before it’s too late! Nice shoes! Photo by Theresa Thompson via Creative Commons. Last week, Laura Onstot of the Seattle Weekly’s Voracious food blog visited Beacon Hill’s Despi Delite Bakery on the way to the airport on Link, and posted about her experience there. The new crosswalk on Beacon Avenue in front of the library is now complete and functional. When pedestrians pass between the sensors on either side of the street, flashing lights activate in the crosswalk to alert drivers. The lights do not seem terribly bright; they are invisible during bright daylight and even in the evening, not as bright as we expected. But they should help make evening and nighttime pedestrians a bit more safe at that intersection. Neighbor Ray writes: “I found this guy this morning wandering and looking lost at the corner of S. Oregon and 10th Ave. S. He has no tags and no chip. 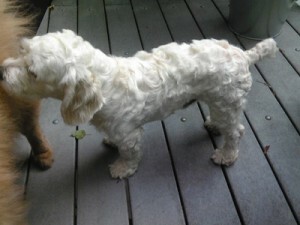 I can be reached at 206-349-3147.” Is this cute lost dog yours? Camp Fire groups are forming in the area, with activities for boys and girls aged 3 to Grade 12. Groups can be all boys, all girls or boys and girls together. Parents decide where, when and how often to meet. For more information contact Janelle Kitson at 206-826-8910 or by email at janellek@campfire-usa.org. Local hip hop group Black Stax are opening for Les Nubians just down the hill at Showbox SODO this Thursday, September 23. You may remember that Black Stax performed on the rooftop of Spoons (at 15th and Beacon) last summer. Attend one of three public hearings. The dates and locations are listed here. Unfortunately, none of the meetings are in Southeast Seattle, but there is one in West Seattle at SCCC, and one at Seattle City Hall. The Beacon Hill P-Patch needs volunteers on October 2 for a clean-up work party. Volunteers will weed and aid in brush removal in the upper slope of the P-Patch, and afterward gather for food, drinks, and socializing. Nearly 800 freshmen and transfer students at Seattle Pacific University will be volunteering on Beacon Hill on Saturday, September 25 as part of SPU’s “CityQuest” program. 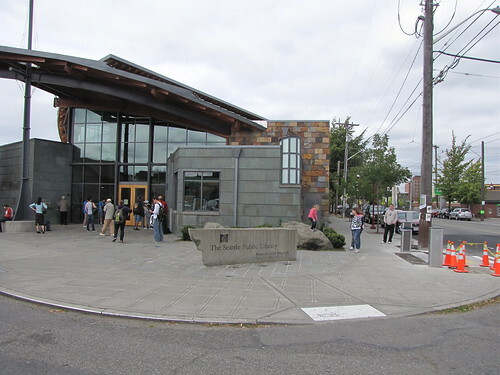 From 10:30 am until 2:30 pm, SPU student and staff volunteers will be working on an orchard and a public garden at Dr. Jose Rizal Park, helping Operation Nightwatch with a community clean-up, and clearing out invasive plants at Lewis Park. Because of an all-staff meeting, all locations of the Seattle Public Library will open late on Thursday, September 30. All library locations will open at 1:00 pm that day. People waiting for the library to open in the morning. On Thursday, September 30, library patrons will have to wait a bit longer because the library will open late. Photo by Jason.